Now go and read it again before continuing. Think carefully about what it says. 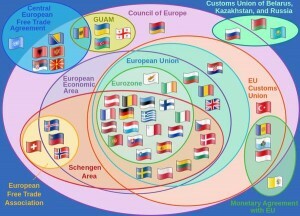 The political organisations of Europe and how they overlap. 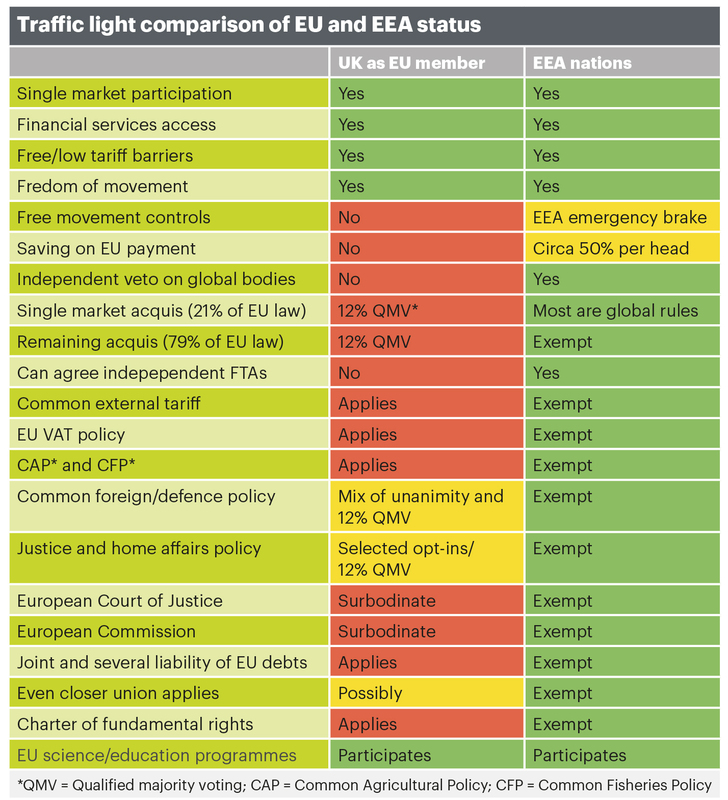 This is not a vote to leave the European Economic Area (EEA), aka single market. Nor is it one to leave Customs Union or the Council of Europe. Voting to leave will not remove us from the jurisdiction of the European Court of Human Rights (ECHR). If any of these were on the table then I’ve no doubt that the Electoral Commission would have ensured that the question said so. Our MPs, whether you like it or not, have also made it clear that any move to leave all of the European political organisations would never make it through the House of Commons even if the government was minded to propose such an option – which it won’t be. That no shortage of people on the ‘Leave’ side believe that a successful vote means we will be able to, in short order, wave goodbye to all of the European political institutions is but a demonstration of how foolish this entire discussion has been. I won’t say become because, frankly, it was dire even before the campaign began. Complete withdrawal – a notion not discouraged by the leading public faces of the ‘Leave’ campaign – might play well with their more fervent supporters but it does not sway undecided voters to the cause. 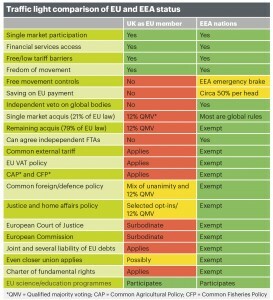 It also plays in to the hands of the ‘Remain’ camp by allowing them to portray those of us who wish to leave the EU as extremists and isolationists, however false those generalisations might be, and point to the various reports (of varying credibility) that detail how bad (the organisations that produced them think) such a course of action would be. All a vote to ‘Leave’ will do is inform our elected representatives in the House of Commons that the majority (however slim) of the electorate who voted wish to depart the EU. Assuming that the government chooses to listen (which, since it is not a binding vote, they don’t have to) then the sensible course of action would be to negotiate the UK’s departure in such a way to cause the least possible disruption, i.e. move it to the next ring out on the Venn diagram above. 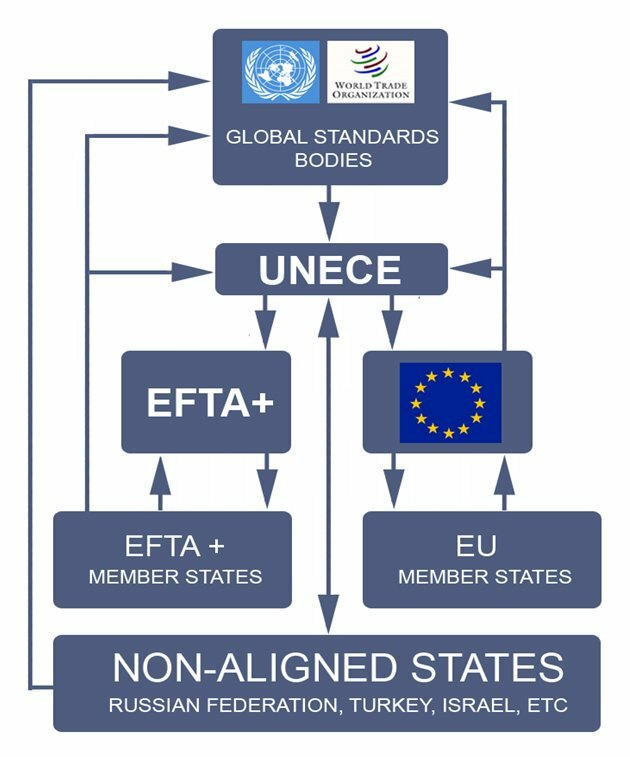 Such a move leave the UK free to rejoin the European Free Trade Association (EFTA), along side Norway, Iceland, Liechtenstein, and Switzerland, and the UK’s membership of that organisation would result in it becoming the fourth largest trade block in the world. Brexit will not lead to an immediate bonfire of EU regulations since these things will take time (read years) to untangle and Article 50 only provides for a two-year negotiation window. Nor will it result in the closing of the borders to immigration or the ejection of EU, EEA and EFTA migrants already here – however much some may fantasize that it will. The idea that only by remaining can the Tories be stopped from destroying the welfare state and returning us to the 1930s is equally as fanciful since there is no hope of any party being able to push such legislation through both houses without significant rebellions and general outrage even if they were brave enough to propose it. What leaving the EU does mean is that the UK would be able to retake its seats at global bodies such as the World Trade organisation (WTO) where the EU has assumed exclusive competence. It would also once again be free to act in its own interests rather than being overruled and having to follow the party line in organisations where the EU insists on shared competence and block voting. This would allow it to have its say on new regulations before they reach the EU for rubber stamping. Whether we ‘Leave’ or ‘Remain’ in the EU the UK will still be a member of NATO and one of the five permanent members of the United Nations Security Council, it will control one of the most powerful military forces on the planet as well as being one of the few nuclear powers, and be a member of the Five Eyes signals intelligence initiative (amongst other things). The UK’s position as a global power will not go away if the UK remains but leaving will allow it to regain some influence in the world at large since doing so will once again allow it to speak freely at all of the world’s top tables as a leading economic power and trading nation should. This was originally posted at Libertarian Home last Thursday (June 16th).